CI Web Group provides Website Design, Development, Marketing and Keynote Speaking Services in Downingtown PA and surrounding areas. Check out what some of our customers are saying about Website Design, Development, Marketing and Keynote Speaking Services services. 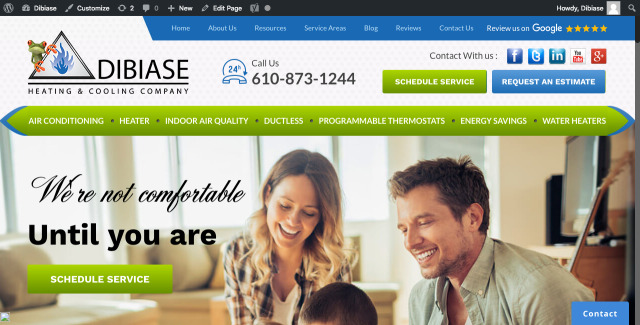 Wordpress and CRM training on a new website that just went live with DiBiase Heating & Cooling Company in Downingtown, PA.